In this world there exist alchemists, people who study and perform the art of alchemical transmutation—to manipulate objects and transform one object into another. They are bounded by the basic law of alchemy: in order to gain something you have to sacrifice something of the same value. The main character is the famous alchemist Edward Elric—also known as the Fullmetal Alchemist—who almost lost his little brother, Alphonse, in an alchemical accident. Edward managed to attach his brother’s soul to a large suit of armor. While he did manage to save his brother’s life, he paid the terrible price of his limbs. To get back what they’ve lost, the brothers embark on a journey to find the Philosopher’s Stone that is said to amplify the powers of an alchemist enormously; however, on the way, they start uncovering a conspiracy that could endanger the entire nation, and they realize the misfortunes brought upon by the Philosopher’s Stone. 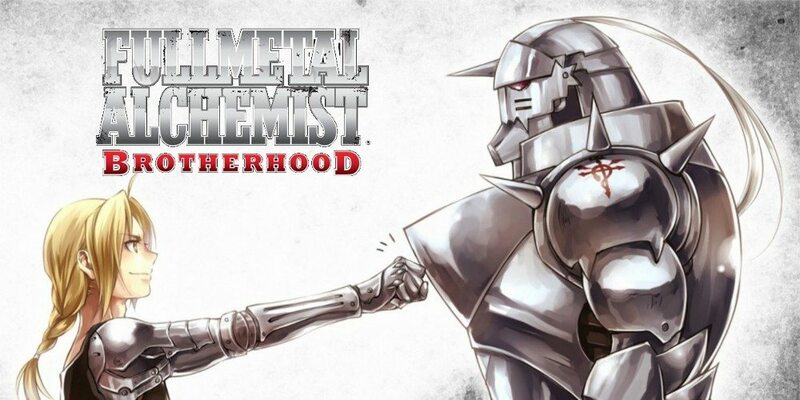 Fullmetal Alchemist: Brotherhood is a re-telling of the story from the manga’s point of view. This is using Ordered Chapters. So, to view full episode [OP->Episode->ED], you need to have the OP/ED files in the same folder as the episode. Learn more about it here. I’ve been trying to download episode 26 multiple times but it always shows ‘network error’ after more than 100 mb is done. Pls fix it. Also, I saw a few animes having multicloud links, also have MEGA links. If the MEGA links for FMAB does exist as well, pls give it to me.